"The first time I saw you, when you stepped into that skiz ring against Kaede, I thought you were the most beautiful girl I'd ever seen. I could've watched you forever. The first time I kissed you......well, that might as well have been my first kiss ever." Prodigy is finally here and my god is it good! I feel like I've been ticking down the days until I finally had this book in my hands, and when I did get it, I started it immediately. But firstly I'd like to say, BRAVO to Marie Lu because she really does know how to raise the bar on this fantastic series! Prodigy continues as we see June and Day arriving in Las Vegas so they can track down the Patriot group and help bring the Republic down. However, upon arriving it is announced to the world that Elector Primo is dead, leaving his son Anden to take his place. Everyone in the Patriot group is happy about the death of the Elector because Anden is young and naive, and he will be an easier target to assassinate than the Elector would have been. In order for June and Day to seek refuge with the Patriot group, they want something in return. 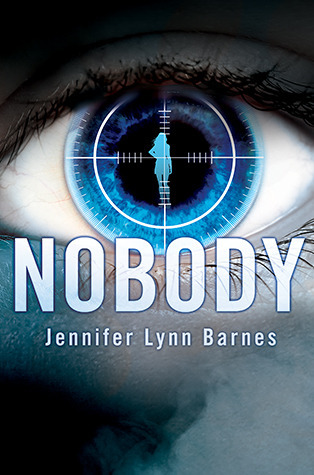 They want June and Day to help assassinate Anden but June suddenly starts to question everything she is being told. Leaving her questioning like are the Patriots really the good people? Well, I certainly didn't expect ANY of that! Wow! In my head, I kind of thought I knew where Prodigy would lead us. It seemed like everything was set up a certain way after the events of Legend, but I was so very wrong. It was just so unpredictable! Everything you learnt from the first book is twisted and turned around and it honestly leaves you questioning everything. Who really is the bad guy? Honestly, I couldn't even guess! 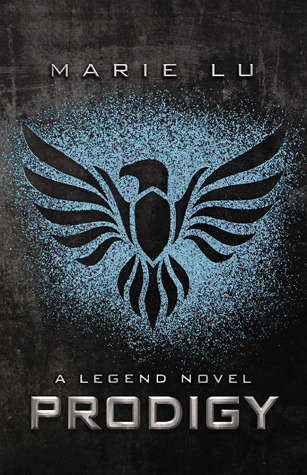 Marie Lu does create a fascinating read that is so heart-pounding and full of adrenaline, that I was literally sitting on the edge of my seat from nerves and anticipation. Not only that but we do get a total different experience reading this time around because we finally get to see the Patriot's in the act. It's more military based with the fire fighter jets, street bombing, and we see more runners - which I really enjoyed. Everything just comes together so well and it really brings it more to life. I'm so excited to see this book on the big screen - if it ever happens. Now not only is the story line fantastic but the dual point's of view does not disappoint. They are written perfectly and they complement each other so well. Not once do you get lost in either of the narratives. June and Day are unique and such well rounded characters that it's hard not to love them. Their faced with a lot of tough decisions through out this book - if not, more than before. They seem to have to take everything will a little bit of faith. Everywhere they turn, there seems to be someone there who is using them and it's a shame they can't confide in anyone - other than themselves and possibly even one unlikely ally, which is honestly going blow your mind. And there also a lot of uncertainty about June and Day's relationship which really throws a spanner in the works and then of course, that ending. HOLY SMOKES THAT ENDING!! I felt like screaming "WHY MARIE, WHY DID YOU HAVE TO DO THAT TO US?!" No!!! It can't possibly be true....I refused to believe it. It's safe to sending the ending of Prodigy will leave you completely blown away but it will also leave you wanting to pull your hair out. It's that good! "We're in this together, right?" he whispers. "You and me? You want to be here, yeah?" There's guilt in his questions. "Yes," I reply. "I chose this." Day pulls me close enough for our noses to touch. "I love you." All in all, there are many things that make Prodigy is a fantastic book and the only way you're going to find out, is by reading it yourself. I urge you to pick up this series because it just becomes even more mind-blowing with each book. Jess's Thoughts: LOVED the first book. Sooooooooooooooo excited to read this one. Madeleine's books are awesome. Full of gritty stories, sexual tension and violence. I have pretty high expectations of this one, because I can't wait for Ripper and Danny's story. It's going to be FRACKING AWESOME! The cover is weird, but so will the story be! Ugh. I'm so in love with this series!! I loved Marcus in Breathe and I hated that he was so sad and lost in that one, so I absolutely couldn't WAIT to read his story, he deserved an HEA. Because of Low is most certainly steamier than the first, and getting in Marucs' head was a complete treat for the mind. I mean seriously the boy is fracking HOT, and you will mostly definitely love the more intimate moments between him and the gorgeous Willow. I love his and Low's relationship and the way it developed throughout the story. Their relationship goes through some serious hurdles but thankfully love really did conquer all in the end. Overall Because of Low was a fantastic read, great pacing, messed up characters, real issues, hot scenes and great romance. Marcus will have you fanning yourself and swooning. Abbi seriously hasn't let me down as a reader so far and I don't think she intends to start. So I suggest you pick up this book (I think you can skip ahead of Breathe) and just get down to it with Marcus and Low. 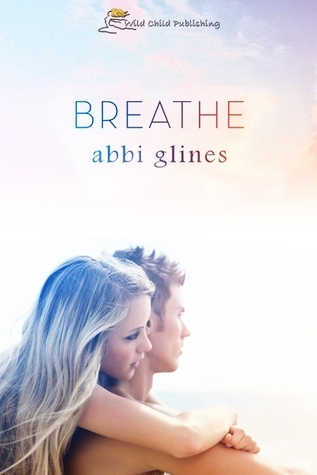 The Review: I went backwards in the Abbi Glines reading, and read her Sea Breeze series last. I did enjoy this one, having now read all 4 books so far, this one is just ok. It's not great, but I think I put that down to it being her debut novel, and the rest of the books do get better. I really enjoyed this story; I've always liked the idea of falling for a rock star and having them love you back just as much. So this was one of those stories that girls dream about sometimes. Sadie as a character was great, I really liked her, she had a lot to deal with and she handled her home situation well. Her relationship with Jax was a good start; I liked the start as a friendship and then slowly moving onto romance. The pacing of the story was good, I don't feel it lacked story, it was right there. I do believe something was missing. As a New Adult genre this was pretty tame, but I don't know maybe that's because it was a debut novel and Abbi was just starting out. Overall the pacing was great. The secondary characters were awesome to have around especially Marcus who bought a new dimension to the story with his sweetness and being able to show Sadie that he would be the better choice, but her heart was already taken. Overall Breathe I thought was a good first start to what ended up being a great series. I think it's best to give this one a go, you'll get a sense of the characters to start with, but you can also skip it if it's not for you. I enjoyed it, probably wouldn't read this one again but I'd definitely start from Marcus' story. Hey everyone, hope your all well. I've been slacking on my showcases over the last few weeks so prepare yourselves for a big one. I've had a ton of awesome books, which I can't wait to read. Hard to Love: Got this for a blog tour in Feb and I managed to read it last weekend in the space of a few hours. Great read! Nobody: Umm... heard so many mixed thoughts about this book but it sounds awesome, guess I'll find out soon. Dare You To: READ IT! LOVED IT! You need to read it! Review coming on Tuesday. 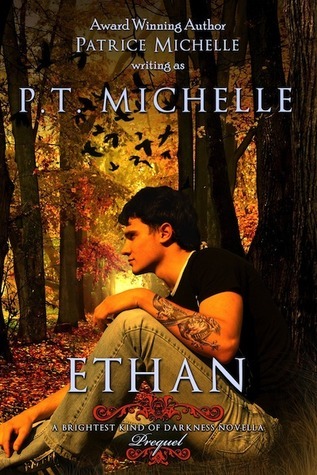 Ethan: Love this series and I can't wait to see what this has in store for us. The Evolution of Mara Dyer: Can you believe I still haven't read the first one? Well, now I have the perfect excuse. Everbound: Enjoyed the first book so I'm looking forward to seeing what happens next. Gathering Dark , Gilt & What the Spell: I've not heard of either these one but it sounds interesting. Thanks S&S! Prodigy: YAY!! I feel like I've been waiting for this book forever. I've read it and I loved it but that ending, what a killer. On Dublin Street: Read and loved this - you can view my review here and read an interview with the author. Reason to Breathe: Another review book, sounds right up my street. Born Wicked: Hopefully I can get this read by next week as we have the author on the blog. 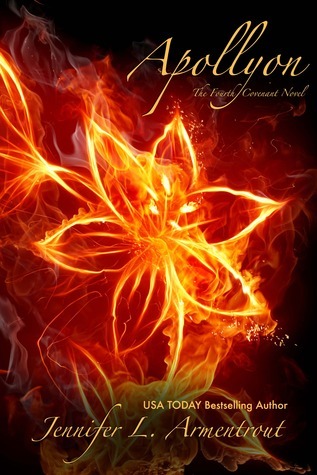 Scarlet: Looks like I have to read Cinder...finally. Drowning Instinct: This sounds....interesting but I'm almost scared to read it. Doesn't sound like a happy ever after book. Warm Bodies: I can't wait to read this before watching the film and they sent a second copy for a giveway....coming soon. Forever Summer: Won this book over at Stuck in Books, so thank you Valerie. Thank you Kendall Ryan, NetGalley, Harelquinn Teen, Simon & Schuster UK, Penguin UK, Valerie @ Stuck In Books, Natalie, Vintage & Quercus. As their unexpected friendship grows, so does their attraction to each other. When Jason’s Christmas plans are cancelled and he ends up at the same party as Natasha, sparks flare, destroying the safe zone around them. Will they figure out how to break through their self-imposed barriers to be together, or lose one another forever? The Review: Aw, what a sweet read this was. I'm not quite sure what to say about the book other than, Her Heart’s Secret Wish is tremendously sweet book that’s very well written. It's about twenty year old girl named Natasha, falling in love with a professor at her college, however they fight their attraction because of her being a student . The story is told in a third narrative meaning we do get to see chapters from each character - which I really enjoyed. It's quite interesting to watch the story play out - even with the problems the characters have. The author managed to fill the story with all the information you need to understand why the characters were a certain way or what was holding them back from doing what they wanted. Not many author can pull that off with a novella but Juliana Haygert does it very well. I do have a slight regret about this book though, and that’s not reading it sooner and really I should have read it during the Christmas build up. 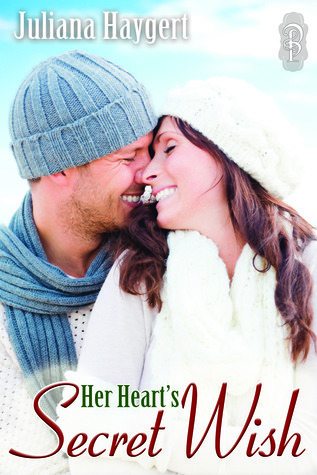 It would have been the perfect read before Christmas - because of the Christmas theme and it sends the right message that everyone can find love, especially at Christmas rather than being alone. With it only being a novella, it's quiet short and so there isn't really anything to hate from this book but then, there isn't anything to really love. Don't let that put you off because still, I really enjoyed it and I'll definitely be keeping my eye out for more work by this author. The Review: Get hooked on a girl named Fred? Well, it's Fredricka - which I totally prefer to Fred but Ryan sure does get hooked on our girl. I really enjoyed Hooked once I got past the first number of chapters. The start was pretty slow to start with but I'm really glad I stuck with it because once I got past that, the story is full of goodness. When Fred is offered to play golf for her high school team, it's an opportunity she can't miss. It could possibly win her a scholarship and that means she could actually make something of her life by doing something that she loves. But, to allow Fred to join the team, her coach has to drop another member, which doesn't go down well with her team mates - who are all boys. It's safe to say Fred takes to slack but so enough, she can't hide the fact that Ryan - the handsome rich boy on the team is making his way into her heart. But how can they ever have a relationship when they're from two different walks of lifestyles? I always love stories like this - when opposites attract. There's just something about them that no matter how many times I read this type of story, it never gets old. It's exciting and thoroughly enjoyable to read and that's what Hooked is. However, I do feel it lacked on the intense side. That's the only reason I couldn't rate this book higher. I've lost count now how many times I've read a story based around football, soccor, basketball or swimming but never have I read anything based around golf and it was....interesting to say the least. I have to say though, I did feel there was a little bit 'too' much golf talk at some points of the story, I wanted a little more action between the characters but still, Hooked was an enjoyable read. If you're looking for a easy to read contemporary romance book, then I'd highly suggest Hooked and I'll be definately keeping my eyes peeled for Riley and Sam's story. Jem Halliday is in love with her gay best friend. Not exactly ideal, but she's learning to live with it. Kai is outed online ... and he kills himself. Jem knows nothing she can say or do will bring him back. But she wants to know who was responsible. And she wants to take them down. This is my first book by British author Cat Clarke and she has definitely lived up to my expectations as an author. I've heard how good she is at writing stories that deal with hard situations, and well, as you can see, she certainly hasn't disappointed me. Undone is a well written and heart-wrenching story - one that is raw and intense, and I’m glad I’ve finally read something by this talented author. 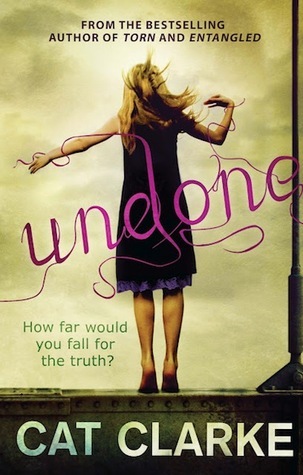 Undone follows the life of Jem - a teenage girl who is in love with her gay best friend; Kai. Not to many people that Kai is gay, however when a video of him is posted online, Kai can't deal with the situation so he kills himself, leaving Jem shattered. How is Jem suppose to go on without her best friend? She can't, and now she's determined to kill herself too, but not before she finds out who posted the video online and gets her revenge. What an emotional rollercoaster this story was. I felt so many different emotions while reading it that it was hard to try and put everything I was feeling into words. It's gripping, compelling and it felt so very real that I was literally a crying like baby during many parts of the story. I really enjoyed both Jem & Kai as characters. They had such a strong bond - even in death, that was so very touching to read. Kai dies pretty early in the story, but Cat Clarke lets us gets to know him just as much as she did with Jem. He's present in Jem's memories but not only that, Kai leaves Jem twelve letters; one for each month for a whole year, and it's very heart-breaking to read as we discover how Kai feels about everything. He's letter's are upbeat and fun to start with but at times, you can see he starts to crack and you feel the emotions poor out of him through the pages. I felt Jem had a lot to deal with but did Kai's letters help her? In a way yes, but in another way, I believe they only made her that much worse which lead to her revenge. She was blinded by it and ended up hurting more people along the way. I wished she would have opened up a bit more to the people around her but if she had then this story would be completely different. Overall, Undone is a story that will stick with me for a long time because of how emotional and intense it was and I can't wait to try some more of Cat Clarke's stories. It really is such shame that this something like this happened in real life because it saddens me that people can be so cruel and hopefully Cat's story can bring awareness to people and make them think twice before they bully. I've never been so thankful for a snow day in all my life and because of it, I managed to devour On Dublin Street, a 400 plus page book within around 24 hours and it's something I probably wouldn't have been able to do if I had to go to work. On Dublin Street definitely lived up to all the hype and it's a very unputdownable book. Based in Edinburgh, On Dublin Street opens up your eyes to the wonderful attractions that Edinburgh has to offer. Being based in the UK myself, it's pretty easy and actually pretty cheap for me to hop on a plane to visit and now, I intend to do so. While reading this book, I felt like I was actually there with the characters walking the streets of Edinburgh. It was almost magicial. Jocelyn and Braden are two strong and feisty characters. There was an immediate connect and attraction to them and how they managed to fight their attraction for so long was beyond me. It was scorching hot at time and even gave me little butterflies too. It was fascinating to watch their relationship grow because they are such an entertaining couple. I also loved - and I mean loved the secondary characters, Ellie and Adam. I kind of wished they get their on little book. I'd love to see more from them, especially from the past. On Dublin Street does not lack emotion nor does it lack fun, actually this story really didn't lack anything. Samantha Young wrote perfectly and I honestly wouldn't change a thing. Adult contemporary romance at it's best right here. I began writing when I was very young, about eight years old. My obsession began after I read The Lion, the Witch and the Wardrobe by C.S. Lewis. It was just so magical, and I wanted to imagine somewhere as equally magical as Narnia. I have a balcony that has a great view of Wallace’s Monument in Stirling. I love to sit out there, cozied up, with my earphones in while I scribble out notes for my latest book. What’s the best part about writing a story? The characters are definitely the best part of writing a story. I never start writing until I’ve worked out who my characters are. Once I start weaving them into the plot they become these three dimensional beings I can’t get out of my head, as I add layers to what’s already there—quirks, foibles, all the things that make them more real to the reader. I love when a reader tells me they related to a character I’ve written. That’s most definitely the best part of writing a story. Right now I’m working on Down London Road, the second book in the On Dublin Street series, as well as Darkness, Kindled (Fire Spirits #4), the fourth installment in my young adult urban fantasy series. Questions relating to On Dublin Street. What was your inspiration for writing On Dublin Street? Edinburgh, very quickly followed by Jocelyn. I wanted to write a contemporary novel set in a location I knew so well it would be a secondary character in the book. And once I’d decided on Edinburgh as my setting, Jocelyn quickly came to me. Most of my readership at that time was based in the U.S, and I wanted my heroine to be American so they’d identify with her. Her personality, her past, her story, was all inspired by the people around me, and as soon as I had Edinburgh and Jocelyn, the rest of On Dublin Street quickly fell into place. Can you tell us how you chose Jocelyn & Braden names? I had this idea in my head that the character of Jocelyn would have a name that most people would shorten to a nickname, and that the only people who didn’t were her parents. So upon suffering their loss, her full-name was a painful reminder of their loss and from then on she’d introduce herself with the nickname. Having Braden’s character insist on using her full name was a subtle step toward Joss dealing with her grief. I chose Jocelyn because I appreciated how different it was to the nickname Joss, and I thought it mirrored the two contradictive parts of her that intrigue Braden - the confident, self-possessed young woman, and the prickly, almost tomboy-ish commitment-phobe girl. As for Braden… I’ve always loved it, and it fit the character. It’s Celtic and it’s masculine. Who would play your dream cast if your book was optioned for a film? My dream cast… probably Jennifer Lawrence as Joss, Chris Hemsworth as Braden, James McAvoy as Adam and Rosamund Pike as Ellie. Joss is my favourite character. I love how complex she is as a person and her journey in the book was wonderful to write. What’s your favourite quote from On Dublin Street? My fav quote: “Babe, nice lingerie is for seducing a man. I’m already f*****g seduced.” - Braden Carmichael. About Author: New York Times and USA Today bestselling author, Samantha Young, is a 26 year old writer from Stirlingshire, Scotland. After graduating from the university of Edinburgh, Samantha returned to Stirlingshire where she happily spends her days writing about people she's keen for others to meet, and worlds she's dying for them to visit. 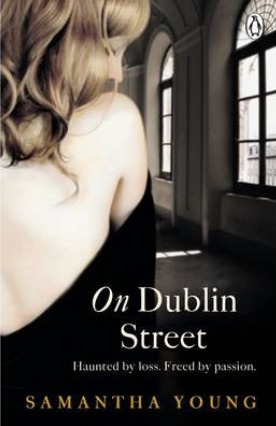 Having written over ten young adult urban fantasy novels, Samantha took the big plunge into adult contemporary romance with her novel 'On Dublin Street'. 'On Dublin Street' is a #1 National Bestseller and has been re-published by NAL(Penguin US). I thought Pushing The Limits was awesome. Dare You To was even better. Katie McGarry totally pulled it out of the big fat book bag once again with Beths story. Katie McGarry has a a good way of sucking you into her stories, that when you start, you just simply cannot stop. This was no different. We're thrown drastically into Beths world and it's just a total rollercoaster of emotions. All of Katie McGarry's characters manage to have so much depth to them, so many internal demons, that you simply wish you could comfort them. So many different real issues are concentrated in this book that it's handled wonderfully. I liked Beth, I did, it's just in parts I honestly found her completely frustrating with some of the decisions she made regarding her dead beat of a mother. She just had this whole plan worked out and it's a stupid plan and you get extremely frustrated with her and the way she sometimes treats Ryan when he's trying to help her out. But I guess that's what makes this story good, you get so caught up and invested that every moment, every scene becomes an obstacle to conquer. Ryan is the good boy, I liked Ryan a lot. He knew what he wanted, what he was capable of and when it came to his feelings for Beth, he wasn't going to stop until she was his. He's a great hero for our Beth, he helps her grow and become who she's meant to be, help her create a new life for herself and that's the greatest part of the story that I overly enjoyed. I love how Beth just developed over the course of the pages. I felt for Isaiah a lot through this. He loves Beth more than anything, and to be let down like that isn't nice, I'm so glad he gets his own book, I can't wait for Crash Into You. Dare You To, wasn't as dramatic as Pushing The Limits, but it's a great story, a force to be reckoned with. Overall Dare You To was a thrilling read full of love, betrayal, sexual tension and real issues, set to leave you wanting more each chapter. So if you haven't picked up any of the books in this series, then you really really should. I can assure you you won't regret it a single bit. One more thing-Can I just give a mention to this AMAZING cover. 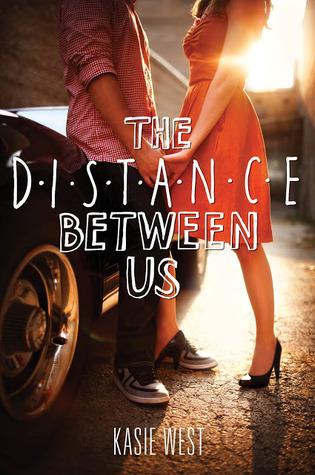 It's probably one of the greatest book covers ever, and those cover models are perfect for Beth and Ryan. I'd like to know who the Ryan model is...because he's really really yummy! That is all. Thank you to Harlequinn & NetGalley for giving me the opportunity to review this book. Jess's Thoughts: O.M.G. I cannot WAIT to read this book. I'm on a super Abbi kick right now, and she's become my favourite author of 2013 so far...and we're only in January. I loved the first book, and I really can't wait to get into this one. It's going to be epic. With double POV's it's going to be amazing. Very high expectations, and I don't think Abbi will let us down with this one. P.S-I LOVE RUSH FINLAY. That is all. Donna's thoughts: My favourite series EVER and it's slowly all coming to an end. Apollyon is book four in the series and I'm so excited to see what happens.